Digital Agency » Blog » For Entrepreneurs: Why Attitude Beats Intelligence? Intelligence is one of the ingredients for success. Without it, we might be running a crappy business. Agree? Generally, we think that successful people are blessed with brains and skills to achieve their goals. Yes, this is true. But sometimes, that’s not always the case. Your attitude is everything, which brings a great impact on your business. The character you show will affect your performance, relationships and everything around you. 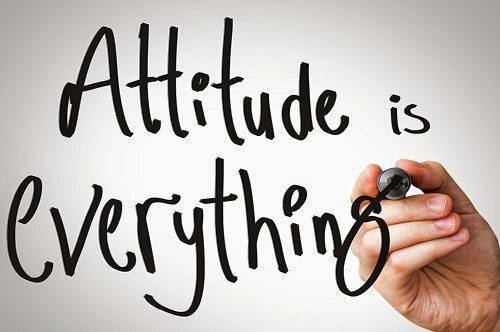 That means everything starts with your attitude. Being an entrepreneur can sometimes be daunting and frustrating. Some of you here are working in a social media marketing company in the Philippines, where they encounter disappointed clients that tend to rant on social media. Yes, we may have the ability to explain clearly the situation to your clients. However, without the right attitude in addressing such unhappy clients, it is impossible for you to turn the situation into a positive one. According to a psychologist Carol Dweck, your attitude is a better predictor of your success that your IQ. Moreover, her studies show that there are two categories of attitude: a fixed mindset or a growth mindset. When one has a fixed mindset, you usually believe you are who you are and you cannot change that. Having this kind of mindset can create problems, especially when an entrepreneur is challenged, which may sometimes lead to feeling hopeless and overwhelmed. On the other hand, when one has a growth mindset, they believe that they can improve with effort. Even if some of them have lower IQ, this does not hinder them from success. They embrace challenges and treat them as a good opportunity to learn something new out from their experiences. With this mindset, they outperform entrepreneurs with fixed mindset. Not all the times running a business will have a smooth flow. There are times you successful achieve the goals for your business. And there are also times where you hit rock bottom which leads you to feel frustrated and hopeless. Yes, we all do know that it is all in the mindset and feeling. But the real question is, how will you react when you hit rock bottom in the business industry? Let’s take famous TV personalities, for example, Oprah Winfrey was fired from her job as a TV anchor in Baltimore because she is too emotionally attached to every story she delivers. Henry Ford experience failure with car companies before succeeding with Ford, Steven Spielberg was rejected by USC’s Cinematic Arts School multiple times, and many others. Yes, they may feel helpless but they don’t stay helpless. They strive harder to attain what they want to achieve in life, which brings them to where they are right now. Running a business without any passion at all is dangerous. You are not motivated enough to do and extend more effort to reach your goal. It is undeniable that there are people who are better than us in some other ways. There are even some of us here who don’t have any talent about being an entrepreneur at all, but if you have the passion for doing business, this will drive you to success. A successful and famous entrepreneur, Warren Buffet suggest an effect technique that helps you determine your passion: Write down the 25 things that you care about the most. Then, cross out the bottom 20. The remaining 5 are your true passions. The rest is merely a distraction. Passion without action is nothing. Sometimes, we feel anxious to take a step further since our decisions and actions can make or break our career in business. Whether you realize it or not, fear and anxiety are paralyzing emotions that hinder us from taking a step forward. If you don’t overcome these negative feeling, success is way far for you to reach. Yes, we may not control having these feelings, but it doesn’t mean you can’t do anything about it at all. Entrepreneurs who have a growth mindset take action, regardless of the risks they may face in the long run. These people know so well that there is no such thing as a perfect moment to take action. If you think you are capable of doing such action, then why wait for one? When you focus your energy and turn an unwanted situation into a positive one, moving towards success is within your reach. If you think about stopping when you reach your goal, then you better think again. Empowered entrepreneurs don’t just settle for less. They are not contented with the things they have right now – they strive for more. That means, even if they reach their goal, they still continue to do something better than the previous one. They believe that each day is another learning experience which will also lead to another plan for another success. Moreover, they also believe the best is yet to come if they just strive for the better. Generally, entrepreneurs love to push their selves to the limits. Yes, we may feel tired sometimes. But that doesn’t give us the reason to quit and just be contented with what we have today. Expecting something in return is not a bad thing at all. In fact, this will give you the motivation to do more since you can expect good results. Although some growth mindset entrepreneurs know that they are going to fail from time to time, this doesn’t hinder them from giving the best effort they can do to achieve a desirable outcome. Since you strive for better, you can also expect better results. Isn’t it amazing when you see results that exceed your expectation? The feeling is great, right? When we talk about business, you have to know that it is not all the times you would do the same strategy all over again. That strategy may not be as effective as it was before. Sometimes, taking risk is an option for as not to make the damage bigger. That is why you have to be flexible when it comes to changes and unexpected situations. As an entrepreneur, diversity of strategies is also a must for you to consider for your business to cope with the current situations. Complaining is a sign of unprofessionalism. However, if your goal is to be successful in the business industry, you look for an opportunity in everything instead of complaining. Understand why you need to this way than your way. Perhaps, they see flaws in your strategies that might jeopardize the business. Take this an opportunity for you to learn. You don’t know, this step might bring you to where you want to be in the future. These things above may be simple yet effective enough for you to gain the right attitude towards your career. Yes, of course, doing these things mentioned above may take a lot of your time and effort, but you will eventually realize that it is all worth it.